Unattended for so long, finally Gmail for Android & iOS is getting material theme design. Back in April, Google Theme design was rolled out for Gmail Web. Now a new update is launching to Google Mobile app which will add a material theme to it, However still no important improvements are made to the app which is not shocking as users are used to it. It’s just that Gmail for mobile is getting a new makeover inspired by Gmail Web. Gmail for mobile will not get brighter than before and a bit cleaner too. However many people are not happy with it according to them the new design is just too bright and eye pinching. When someone opens the app in low light, the Gmail app seems very unattractive and one has to lower the display light of their mobile. 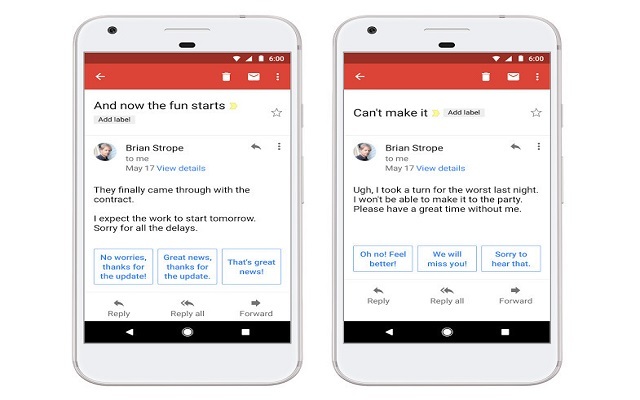 Though there are no good improvements, minor improvements brought by Google in a new update are the ability to quickly view attachments without having to open or scroll through a conversation. Also, now smart compose allows users to write emails faster than before. Even now replying to messages will get quicker than before with smart reply feature. The new update will be rolled out today to all Gmail users on Mobile (Android and iOS). Recently, the tech giant Google has announced that all of the email accounts on iOS can be viewed in a single, unified inbox. The Android users have had this option while iOS users received it now. Let us know in comments below that have you received the new update?